Here is the preliminary list of workshops and their corresponding websites. Please note that this list may change slightly over the next couple of weeks and that workshop organizers are working on getting all of the websites online. Submission deadline: 9 October 2015 12:00pm (Noon) PDT. CfP released by workshop organizers: (on or before) 7 December 2015. Early acceptance round for participants: (on or before) 21 December 2015. Participants’ final submissions: (on or before) 12 February 2016. Workshop days: One-day or two-day sessions: Saturday/Sunday, 7-8 May 2016. Submission Format: 1 Extended Abstract Proposal, including abstract, full proposal, 250-word CfP, and plans for workshop prep and communication. References DO count towards page length. 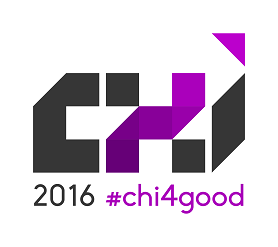 Chairs: Eve Hoggan, Sanjay Kairam, Leila Takayama, Frank Vetere, Siân Lindley (workshops@chi2016.acm.org). At the conference: Accepted workshops with a minimum of 10 registered participants will be held 7-8 May 2016. Archives: Workshop summaries will be published in the Extended abstracts in the ACM Digital Library. We invite you to participate in the CHI 2016 Workshops! Workshops are a gathering place for attendees with shared interests to meet in the context of a focused and interactive discussion. They are an opportunity to move a field forward and build community. CHI workshops might address basic research, applied research, HCI practice, HCI education, new methodologies, emerging application areas, design innovations, or management, strategy, and organizational issues. 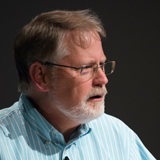 Each workshop should generate ideas that will give the HCI community a new, organized way of thinking about the topic or that suggest promising directions for future work. If you are working in an emerging area in HCI, please consider organizing a workshop. Curated Reviews: All workshop submissions will be curated by the CHI 2016 workshop chairs, as opposed to juried. This will lessen the burden on our over-worked reviewers! Faster Decisions: The CFP release deadline is the 7th of December. This will give workshop organizers more time to advertise the workshop and choose participants. Early Acceptance for Position Papers: The early acceptance round for position papers should be completed by 21 December 2015. This will enable your participants to leverage 2015 Q4 budgets, not only 2016 budgets, to attend your workshop. A subsequent round of position paper acceptances can be done, as well. Minimum Number of Participants: We require a minimum of 10 paying participants per workshop. Workshops are held the weekend before the start of the conference, on Saturday and Sunday, 7-8 May 2016. A workshop may be one or two days in length. They are scheduled for six working hours per day, with a mid-morning break, a lunch break, and a mid-afternoon break. A typical workshop will have 15 to 25 participants. Workshop organizers submit a workshop submission package (see below for content and format) to CHI, which is reviewed and selected by the workshop chairs, with input from domain experts as needed. Once a workshop is accepted, both CHI and the workshop organizers are responsible for publicizing the workshop and soliciting potential participants. Workshop organizers solicit participants for their workshop through a Workshop Participants Call for Participation and CHI places a link to the workshop’s website on the CHI 2016 Workshops Page. Upon acceptance, the workshop organizers are required to create a web page with workshop specific information. They should include the future web page URL in the submission. The workshop organizers may decide to cap the number of attendees per accepted position paper. Post-Workshop Plans: State your plans for follow-up and creation of tangible outcomes (e.g. poster presentation, publication of a workshop report, plans for a special issue of a journal). This Extended Abstract is the only document from the workshop which will be included in the CHI conference publications. Workshop organizers will be notified of acceptance or rejection by 13 November 2015. Workshop organizers will have until 7 December 2015 to submit their final workshop descriptions and publicize their CfPs. Workshop organizers must complete an early acceptance round for position paper submissions by 21 December 2015. This will enable participants to leverage 2015 Q4 budgets if needed, not only 2016 budgets. Workshop position paper submissions should be due no later than 13 January 2016. Final acceptances for position papers must be completed by 12 February 2016. This will give participants enough time for early registration to the conference. Publicize Your Workshop: Organizers of an accepted workshop must set up and maintain their own web page in which they provide further and updated information about their workshop. The workshop page will e linked to from the official CHI workshop site. In order to have a successful and well-attended workshop, we recommend that you post your call for participation early and widely (e.g. publicize on social media and on relevant mailing lists, such as CHI-ANNOUNCEMENTS). Solicit Position Papers from Potential Participants: While some organizers may choose alternate formats, a position paper is generally 2-4 pages long and outlines the submitter’s view on the workshop theme and the reasons for the submitter’s interest in the topic. The deadline for any participant to submit a position paper should be no later than 13 January 2016. Early Acceptances should be completed by 21 December 2015 (to enable participants to leverage 2015 Q4 budgets instead of 2015 budgets). Any subsequent rounds of acceptances (for position papers submitted after the early acceptance round) must be completed by 12 February 2016. Provide a Participant List: A list of confirmed participants should be sent to the Workshop Chairs. Workshop sizes are provisionally capped to 25 participants. The registration system will not allow more participants to register for your workshop. If it becomes necessary to change the size of your accepted workshop (workshops@chi2016.acm.org). Workshops that do not attract at least 10 paying participants may have to be cancelled by the Workshop Chairs. Accepted Workshop summaries will be distributed in the CHI Extended Abstracts, available in the ACM Digital Library. The workshop registration fee will be waived for up to two workshop organizers, but all other organizers and participants who attend the workshop will need to pay the workshop participation fee. Workshop fees for participants in 2016 are expected to be similar to CHI 2015 fees. In addition to the workshop fees, all workshop attendees (including organizers whose workshop fee has been waived) are required to register for at least one day of the CHI conference.